My first “cover story” is here! How thrilling! 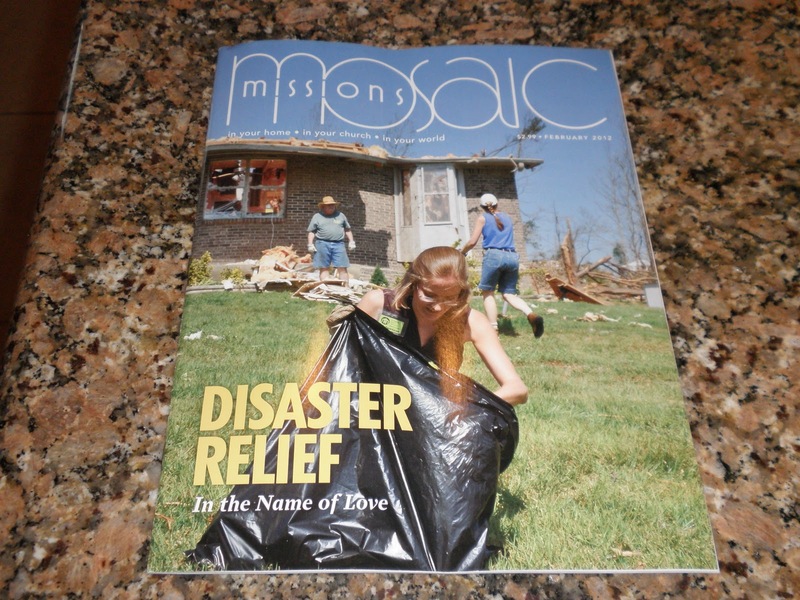 Call 1-800-968-7301 (Woman’s Missionary Union) if you’d like to order one or more copies of this February issue of Missions Mosaic! Y’all … in case you ever doubted for a second … God is so awesome! And again, thank you for your precious prayers while I worked on this. You will meet four amazing women … one survived the Alabama tornado and three served the survivors. There is also an amazing article on Dr. Martha Myers written by Ann Knowles called “Living the Dash.” Martha Myers (1945 – 2002) … she was slain because of her love for Jesus. You will be greatly blessed by this article.